If you’re over 50, and especially if you’re 60 or older, you need to think seriously about shingles. In the US, there are an estimated one million cases of shingles each year, about 50 percent of them in people 60 or older. It affects one in three Americans during their lifetime. I don’t know about you, but I don’t like those odds. And from what I’ve heard, shingles is a real pain! Shingles is a painful skin rash that usually appears in a strip on one side of the face or body. The pain has been described as excruciating, aching, burning, stabbing and shock-like. The rash eventually turns into clusters of blisters that fill with fluid then crust over. Shingles is caused by the varicella zoster virus, the same bug that causes chickenpox. Shingles is also called herpes zoster. What happens is after you’ve had chickenpox, the virus stays in your body, but remains dormant in your nerves. In some people, a disease, stress or simply aging weakens the immune system (it’s not completely understood how), and that dormant virus reactivates, triggering a shingles outbreak. This is important to know because studies show more than 99 percent of Americans age 40 and older have had chickenpox, even if they don’t remember having it. The active varicella zoster virus is contagious, but it doesn’t spread shingles to other people. The virus can cause chickenpox in those who’ve never had it or never been immunized against it. Since chickenpox vaccine has been a routine part of the childhood immunization schedule for years, this is a rare occurrence. Symptoms of shingles often come in phases. It may start with a stabbing pain on one side of the body. You may experience a tingling, burning, stinging or itchy sensation followed in a few days by the outbreak of the rash. Other, associated symptoms can include headaches, fever, chills, nausea, malaise, swollen lymph nodes and body aches. A shingles rash typically lasts from two to four weeks and is treated with antiviral and pain medications. However, one in five people with shingles will go on to experience severe pain long after the rash clears up. This condition is called post-herpetic neuralgia, and it can be debilitating. This pain can last for months or even years. That’s why the Centers for Disease Control and Prevention (CDC) recommend people 60 and older be vaccinated against shingles. A single-dose vaccine, Zostavax®, has been in use in the United States since 2006. Now, people looking for protection from shingles have two choices. 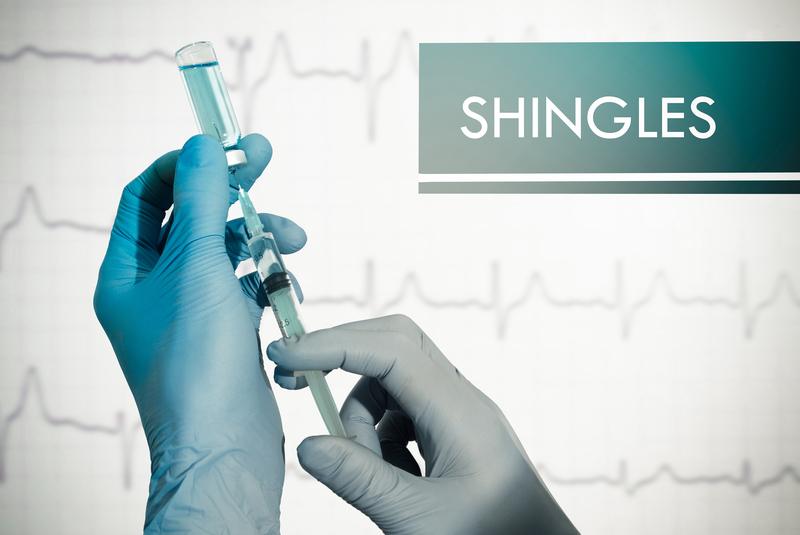 On October 20, the FDA approved a second vaccine called Shingrix. It is touted to offer stronger protection against the virus than Zostavax. 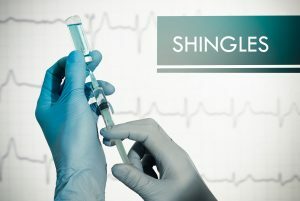 Studies showed Shingrix offered 98 percent protection against shingles in the first year, and that protection remained at 85 percent or higher three years after vaccination. By comparison, Zostavax offers 51 percent and 67 percent protection respectively. Shingrix also reduces the risk of post-herpetic neuralgia by 90 percent. Two-dose Shingrix is expected to be available to consumers by the end of 2017.